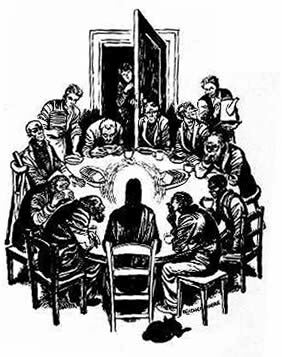 Jesus said to the Pharisees: “There was a rich man who dressed in purple garments and fine linen and dined sumptuously each day. And lying at his door was a poor man named Lazarus, covered with sores, who would gladly have eaten his fill of the scraps that fell from the rich man’s table. Reflection on the gospel reading: Sometimes when I pray, I wonder that the God who is aware of a mote of dust hurdling through space in the furthest most distant galaxy is also paying attention to me. In the scale of things, at the least the way you and I measure things, why would a being who is so big be interested in a being who is so small–like me. Yet the whole tradition testifies to the intense interest God has in me and the intense interest God has in you. When Dame Juliana of Norwich described her mystical visions of God, she observed homeliness and courteousness characterized God’s dealings with her–and with us: God is intimate with us, and God is polite to us. People who have had near death experiences often report they reviewed their lives in the company of a being of light. One man who was clinically dead for nine minutes reported when he returned from an experience where he reviewed his life in the company of a “man made of light,” that, “If I’d suspected before that there was mirth in the Presence beside me, now I was sure of it: the brightness seemed to vibrate and shimmer with a kind of holy laughter – not at me and my silliness, not a mocking laughter, but a mirth that seemed to say that in spite of all error and tragedy, joy was more lasting still. And in the ecstasy of that laughter I realized that it was I who was judging the events around us so harshly.” When we come to the end of our days and enter the review of what we have done, God, who is so big that God is entirely willing to be courteous to us, will respect the great big decision we have made with our lives. And if the decision we have made day-to-day is a cry for mercy, mercy will be ours. 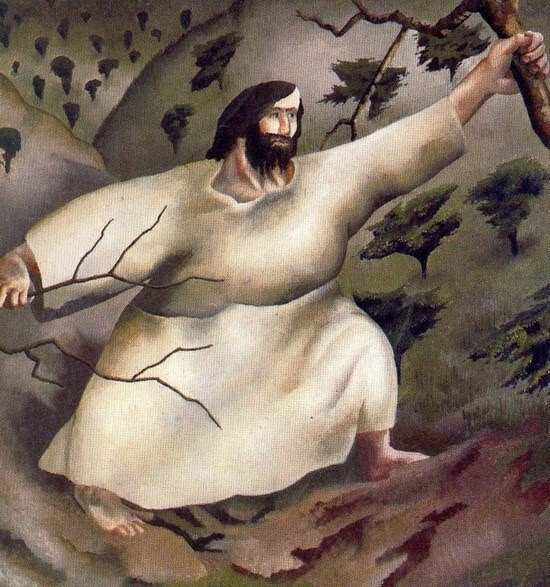 Saint of the day: Daniel Brottier spent most of his life in the trenches—one way or another. Born in France in 1876, Daniel was ordained in 1899 and began a teaching career. That didn’t satisfy him long. He wanted to use his zeal for the gospel far beyond the classroom. He joined the missionary Congregation of the Holy Spirit, which sent him to Senegal, West Africa. After eight years there, his health was suffering. He was forced to return to France, where he helped raise funds for the construction of a new cathedral in Senegal. At the outbreak of World War I Daniel became a volunteer chaplain and spent four years at the front. He did not shrink from his duties. 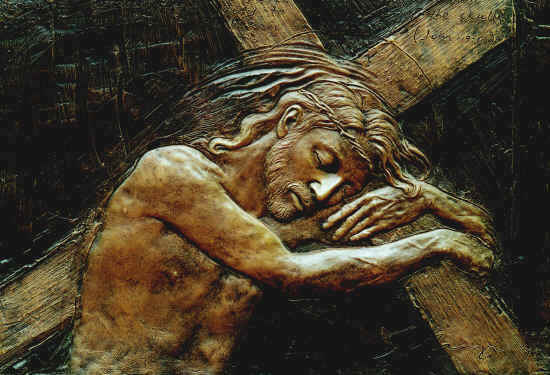 Indeed, he risked his life time and again in ministering to the suffering and dying. It was miraculous that he did not suffer a single wound during his 52 months in the heart of battle. After the war he was invited to help establish a project for orphaned and abandoned children in a Paris suburb. He spent the final 13 years of his life there. He died in 1936. Jesus is clear at this passage’s start, middle, and end, that his mission is about the sacrifice of self. As the author of The Cloud of Unknowing observed, “Make sure you let nothing but God enter your mind or work in your will,” because when “you are perfect in love . 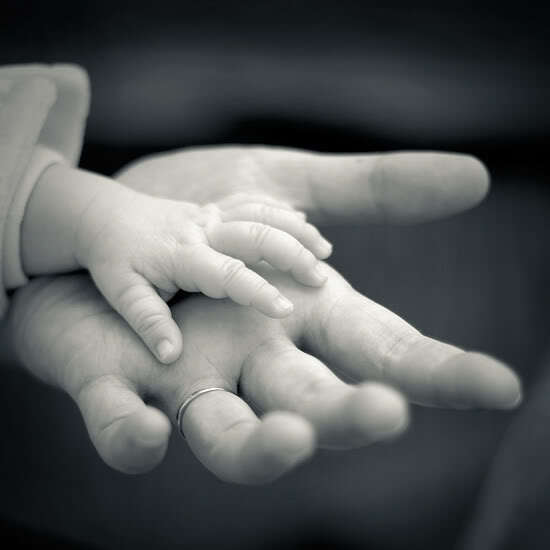 . . you’ll neglect yourself to serve the one you love.” Jesus’ call is to follow the example he sets, live justly, and put our entire lives at each others’ disposal so that every single person may realize the fullest possibilities of her or his life. Today, we meet Moses as he comes upon the burning bush which was not being consumed by the fire. We have heard many times of Moses’ mission to free the Israelites and bring them to a new land that would be theirs. Israel left Egypt and followed the cloud and passed through the sea and received food and water in the desert. Yet in spite of all God did, most of them did not complete the journey for they were not faithful and even grumbled against God in the desert. Paul tells us today, that this happened because we need to be reminded not to desire evil things or grumble about how God shapes our life. It is in feeling too much security that can sometimes lead to falling. In today’s gospel, Jesus is told of an incident where Pilot killed some Galileans and mixed their blood with the blood of their sacrifices. The mentality of the time was that bad things happened only to sinners, the worst things to the worst people. Jesus doesn’t accept that notion, all of us are sinners and need repentance. Bad things don’t happen to a person because he is better or worse than another. Evil is something which is punished at life’s end and not necessarily in the here and now. Our life, our call to life in Christ is constant and new every day. How we live, what we do is something that is individual and between us and our Lord. Comparison with others to say he or she is better or worse is self-serving and can even be self-defeating as we imagine ourself as better than another. Comfort and laxity can follow such examinations. The true Christian conscience maintains a certain uneasiness that it can in many ways fall short of all that it is called to do. The final reminder today is the fig tree. Without fruit, it is taking up space and using the resources of the soil around it. As the tree must be worked on if it is to produce fruit, so must we work and prepare ourselves in the Christian life. Each day, each season, each year is a gift in life to be embraced and moved forward. Seize the day and the hour as we march to Easter. 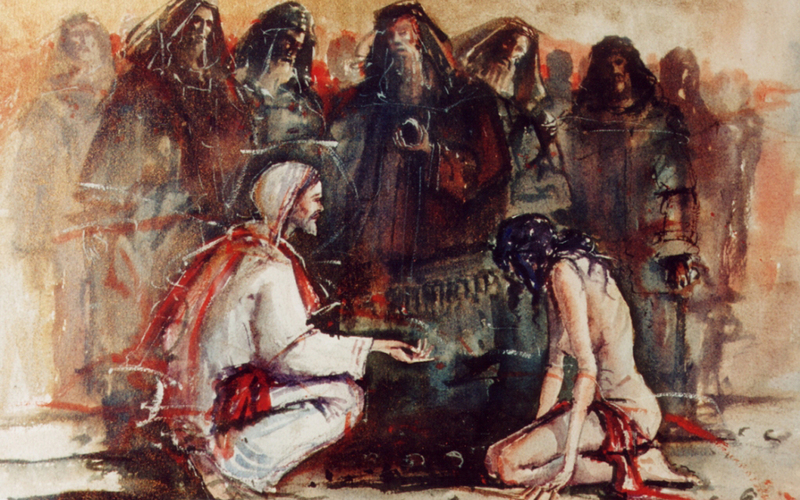 Reflection on the gospel reading: We all fail–we all fail in different ways–but all of us fail. Jesus recognized the brokenness of the human condition: powerful people who lay down rules on the people which they themselves cannot follow; people who put a false face to the world to hide their own interior corruption; people who demand honors instead of being willing to take the lowest place. 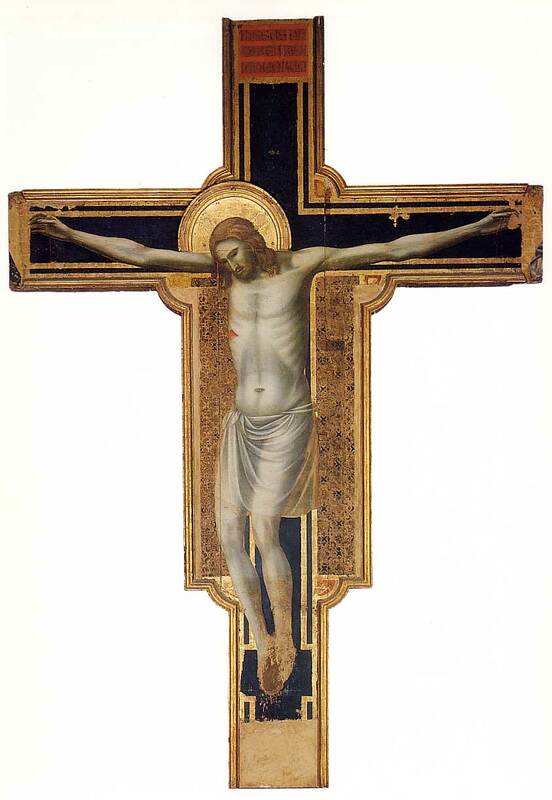 Jesus condemned phoniness, inauthenicity, conceit. He calls us instead to willingness to be counted as of little consequence, a deep honesty about all that is good and bad about ourselves, and a sense of right proportion about our place among the hosts of people who surround us and of whom God is especially fond. On the day of reckoning, it is not our excuses which will save us but our recognition that we need God’s mercy. Reflection on the gospel reading: In this gospel passage, Jesus explains true conversion by way of illustration. Jesus certainly encourages us to engage in acts of mercy, tolerance, acceptance, forgiveness, and generosity. But even more, he invites us to become merciful, tolerant, accepting, forgiving, and generous. Individual acts of goodness are important, but Jesus calls Christians to radiate these attributes from our very being: to become like birds lifted high on the gentle breezes of compassion, encouragement, love, grace, and hospitality or fish who swim in oceans of kindness, patience, pardon, cooperation, and good will. Saint of the day: Venerable Felix Varela was born in Havana, Cuba in 1788, and died in the United States. The grandson of Spanish Lieutenant Bartolomé Morales, he studied to become a Roman Catholic Priest in San Carlos and San Ambrosio Seminary in Havana, the only seminary in Cuba. He also studied at the University of Havana. At the age of 23 he was ordained in the Cathedral of Havana. Joining the seminary faculty within a year of his ordination, he taught philosophy, physics, and chemistry and became an acclaimed teacher of many important figures in Cuban history. Varela joined in a petition to the Spanish Crown for the independence of Latin America and also published an essay which argued for the abolition of slavery in Cuba. For such ideas, the government sentenced him to death. Before the government could arrest him, however, he sought refuge in Gibraltar and later emigrated to the United States, where he spent the rest of his life. Varela was the founder of the first Spanish-language newspaper in the U.S., publishing many articles about human rights, as well as multiple essays on religious tolerance, cooperation between the English and Spanish-speaking communities, and the importance of education. He published other newspapers in Spanish, including El Habanero and El Mensajero Semanal, and also published The Protestant’s Abridger and Annotator in New York. 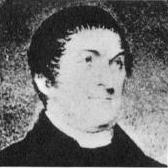 In 1837, he was named Vicar General of the Diocese of New York, which then covered all of New York State and the northern half of New Jersey. In this post, he played a major role in the way the American Church dealt with the flood of Irish refugees, that was just beginning at the time. His desire to assist those in need coupled with his gift for languages allowed him to master the Irish language in order to communicate more efficiently with many of the recent Irish arrivals. He was later named a Doctor of Theology by St. Mary’s Seminary in Baltimore, Maryland. Nearly sixty years after his death in St. Augustine, Florida in 1853, his body was disinterred and returned to Cuba to be laid to rest in the University of Havana’s Aula Magna. If canonized, he would be the first Cuban-born person to be honored on the altars of the Catholic church. The Cuban government has created an award bearing his name, entitled the Orden Félix Varela, which is given to those whom the government deems to have contributed to Cuban and worldwide culture. His name is currently associated with a project proposed by the Christian Liberation Movement in Cuba, named Proyecto Varela, which was announced to the Cuban people on government-owned TV and radio stations in Cuba by United States President Jimmy Carter. In 1997 the United States Postal Service honored Varela by issuing a 32-cent commemorative stamp. Because of his experiences, many in the Cuban American exile community identify with him. He was named Venerable in 2012. Reflection on the gospel reading: On the second Sunday in Lent, we reflect on Luke’s account of the Transfiguration. 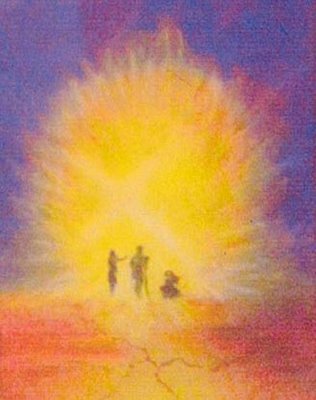 Jesus takes his inner circle of disciples, Peter, James, and John, up the mountain and becomes transfigured physically before them. God reveals Godself on the mountain in a voice which they hear. In our ordinary life, this voice is always present to us, but it is also hidden. In day-to-day life, the God who is closer to our minds than our own thoughts, is not present to us because we live our lives in a lack of awareness of God’s presence. Luke tells us the disciples were sleepy when they reached the mountain top and before the transfiguration. Sleep is the sweet balm that soothes and restores us after a long day of work and play, but it is also a state of deep unawareness. In the gospel passage, Peter, James, and John’s sleepiness suggest the lack of awareness of God’s presence which afflicts almost all of us at most moments of our lives. I have had the experience of approaching a friend who is lost in thought, and only when I am almost on top of him, has the look of recognition stolen across his face. In such moments, the friend inevitably will tell me he had been lost in thought. We can become so preoccupied by the inconsequential that we ignore the real. Sometimes, an event of immense consequence, like a natural calamity, the death of a loved one, a disruption of a friendship, or the collapse of our physical health, will shake us awake, and we have to be present to God in a way that the rest of life does not demand of us. In today’s gospel, the radiance of the glory of God breaks through to the disciples when they are drowsy and unaware. The account of the transfiguration is then at one level an invitation to shake off our preoccupations and illusions and attend to the presence of God which is always around us but which we often allow to be hidden as we sleepwalk through our lives. The practice of awareness of the presence of God will be our own transfiguration in the one great transfiguration of Jesus. Reflection on the gospel reading: Perfection is not what we think it is. It is not making a set of rules and then perfectly and unerringly carrying out the letter of those rules. That is pharisaism, an attitude and outlook which Jesus condemns as the worst kind of imperfection. Perfection consists in boundless, non-judgmental love made real in human affairs by our capacity to love those who do us harm or reject us. The question Jesus will ask us when we come to the end of our lives will not have anything to do with the laws of pious practice or rigid moralism but rather, with the law of love. Jesus will challenge us, not by righteous indignation but through his loving presence, how much have we loved with our lives? Have we loved others as Jesus loves us? Totally? Unconditionally? Have we loved dangerously–profligately, deeply, passionately. Have we loved with every ounce of our strength, tempting ruin and letting life breathe into our hearts of stone to make them hearts of flesh. In loving, have we risked climbing the highest tower and plumbing the depths of the most immense abyss. Have we tempted the terrible angels of annihilation to immolate us with the fires of Love. 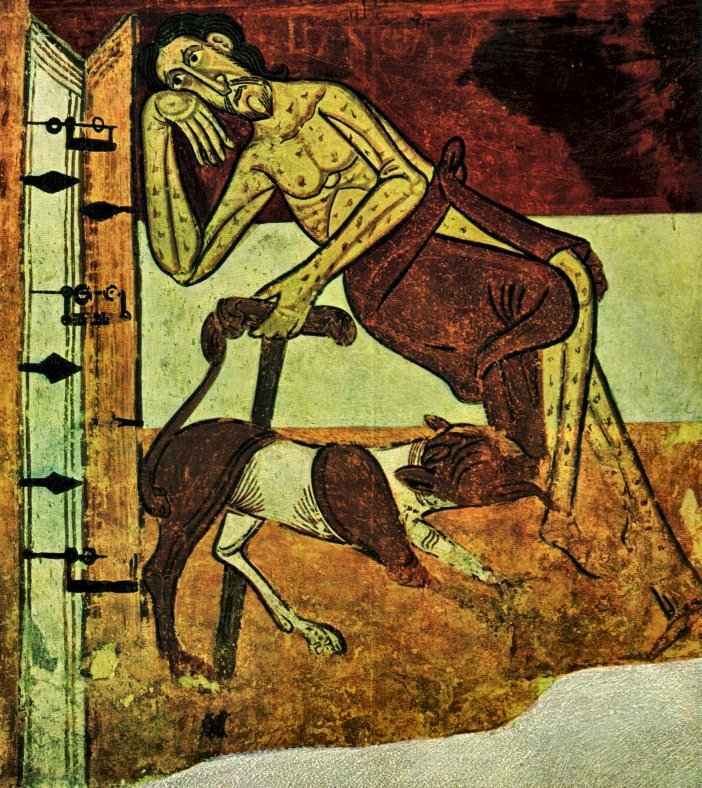 If this is the final summative question, let us love dangerously–howling love, savage love, wild love, impetuous love. The more we live our lives as lavish, intemperate, and wasteful love, the more we will become perfect as the Father is perfect. Saint of the day: Venerable Samuel Mazzuchelli was born in Milan, Italy on November 4, 1806. In 1828 he left Italy for the United States, spending a year in the Cincinnati area. There he was ordained a Dominican priest in 1830. After about five years serving the church in upper Michigan and northern Wisconsin, Mazzuchelli arrived in the Dubuque area. During his time, he faced a number of challenges, such as hostility from other Christian denominations. Mazzuchelli arrived in the mid-1830s to what would later become Dubuque, Iowa. While there, he reorganized the parish and named it Saint Raphael’s, which later became the Cathedral parish when the Dubuque Diocese was formed in 1837. 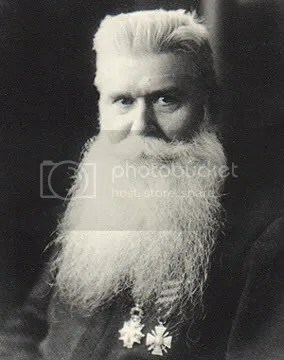 He assisted Bishop Mathias Loras during the first few years after the founding of the Diocese and worked extensively in what would eventually become the Diocese of Madison, Wisconsin. There he founded over 30 parishes and designed and built over 20 church buildings, along with a number of civic buildings. Three of those parishes were named after the three Archangels: Saint Raphael’s in Dubuque, St. Michael’s in Galena, Illinois, and Saint Gabriel’s in Prairie du Chien, Wisconsin. In 1848, he founded St. Clara Academy (now Dominican University of Illinois), a frontier school for young women. In 1847, he founded the Sinsinawa Dominican Sisters. Unlike many white settlers, Mazzuchelli was a vocal defender of Indian rights. He visited Native families by canoe, on horseback, and on snowshoes and sleds, learning about their cultures and admiring their spirituality, their respect for the aged, and their love of children. He wrote letters to Congress and President Andrew Jackson protesting the treatment of Native Americans and began schools for Native children in which they were taught in their own language by their own people. 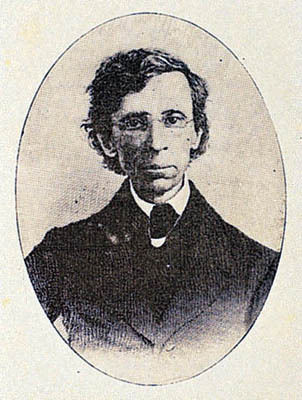 He published a Winnebago prayer book in 1833 and a liturgical almanac in Chippewa the following year–the first book printed in what would become the state of Wisconsin. He served as the chaplain for the first Wisconsin Territorial Legislature and was a civic, as well as religious, leader for the region. Many remembered Father Mazzuchelli as a kind and gentlemanly priest. He was able to break down the cultural barriers that existed at the time and appeal to many different ethnic groups. The Irish he ministered to called him “Father Matthew Kelly”. He died on February 23, 1864 after contracting an illness from a sick parishioner. 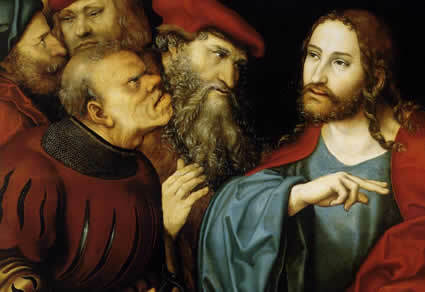 Reflection on the gospel reading: Jesus reminds us that we need to reflect continuously on the question of forgiveness as we walk the spiritual path. In today’s gospel, Jesus insists that we forgive, and later in Matthew, he implies we must forgive an unlimited number of times. 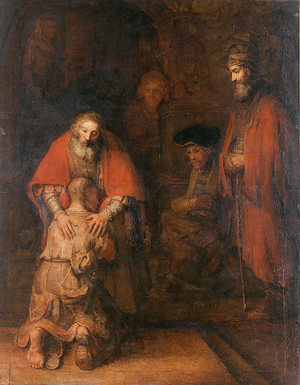 In the Beatitudes, Jesus says the Father’s gift to us when we are merciful is mercy, and in the Lord’s prayer, the petition to forgive is linked with a petition for the ability to forgive. We live in a world where unhinged young people are capable of murdering first graders, where war and the rumor of war is relentless, where the threat of terror always lies around the corner in many places on the earth. Sometimes, our relationships with associates, friends, and even family break down in ways which seem irreconcilable. Yet we cannot withhold forgiveness to anyone, no matter how great their crimes or devastating their slights–at least we cannot withhold forgiveness if we believe what Jesus taught. As his disciples, we are to always work to reconcile with one another, abandon obstacles to unity, and open our hearts to one another. 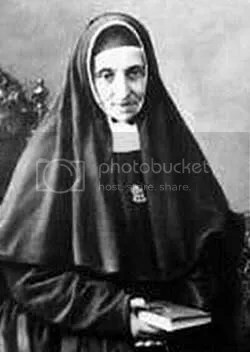 Saint of the day: Blessed Émilie d’Oultremont van der Linden d’Hooghvorst was born in 1818 in Wegimont, Lieges to a deeply religious noble family. From childhood the sacramental life, especially the Eucharist, was important to her, and she had a special devotion to the Sacred Heart of Jesus and to Mary. In 1837 she married Victor van der Linden, Baron d’Hooghvorst, and they had four children. She looked to the Jesuit Fathers for spiritual guidance, especially during the long illness of her husband, who died in 1847. With great fortitude she lived through this trial and consecrated herself to God with the vow of chastity. She chose the religious life despite her family’s opposition. 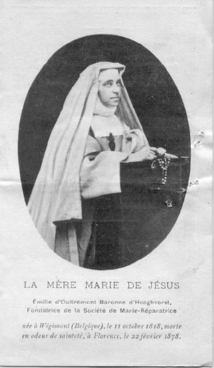 In 1885 she was joined by some young women, but it was not until 1887, that the Congregation of Mary Reparatrix was officially founded, in Strasbourg. A year later they made their first vows. Mother Mary of Jesus rejoiced when her own two daughters entered the congregation (although she was later to be criticized for having influenced them). After their deaths, she devoted herself tirelessly to her mission. As her community’s model and inspiration, she proposed Mary as mother associated with the person and saving work of her Son. She sought to teach others about the name of Jesus, his mercy and love, and this inspiration moved her to courageous decisions. 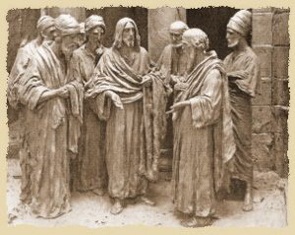 In 1859 she responded to a call from the Jesuit Fathers in Madras, India. Other foundations followed in India and in the islands of Mauritius and La Reunion. In Europe she opened houses in France, Belgium, England, Italy, Ireland, and Spain. In Mother Mary’s last years, she experienced deaths in the family, worries about her sons, difficulties and separations within the institute, and spiritual trials where she felt God had abandoned her. Her health deteriorated, and she died on February 22, 1878 at the home of her son, Adrien, in Florence. She was beatified in 1997. Reflection on the gospel reading: There is nothing in our lives which has as much capacity to bring forth good as prayer. In God’s very being is the anticipation of every request we shall make of God and God’s responses to those requests, responses which ultimately are of God’s being, love. 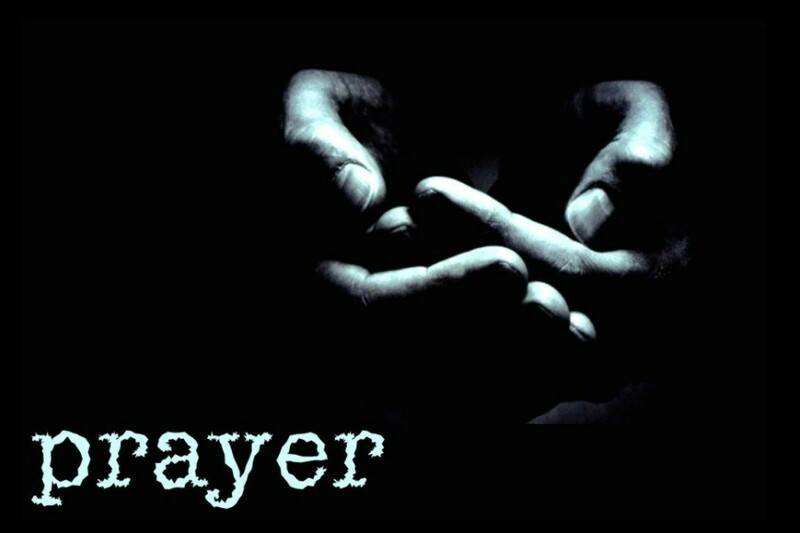 Prayer can accomplish no evil deed: it is the power to do good–it is bread and fish to those who hunger. It gives life, protects the weak, generates health, eases troubled minds, frees prisoners, and restores justice. Prayer is the only path to forgiveness of our sins and the surest road to put away temptations which bedevil us. Tertullian observes that prayer “strengthens the weak-hearted, delights the high-minded, leads wanderers home, soothes the waves, confounds robbers, feeds the poor, governs the rich, lifts up the fallen, supports the unsteady, holds firm those who stand.” In the past I have observed that God is not a wish factory nor a dream machine: we don’t put our quarter in and get our prize out. But a life lived in prayer creates a relationship with God which conforms our minds to God’s, and as we grow in maturity in this relationship, the good we wish for ourselves becomes the good we wish for others. The more our hearts align with God’s, the readier we become to make prayers that conform our desires to God’s desires, and the ultimate outcome of this is a life lived with the unconditional love which characterizes God’s very self. 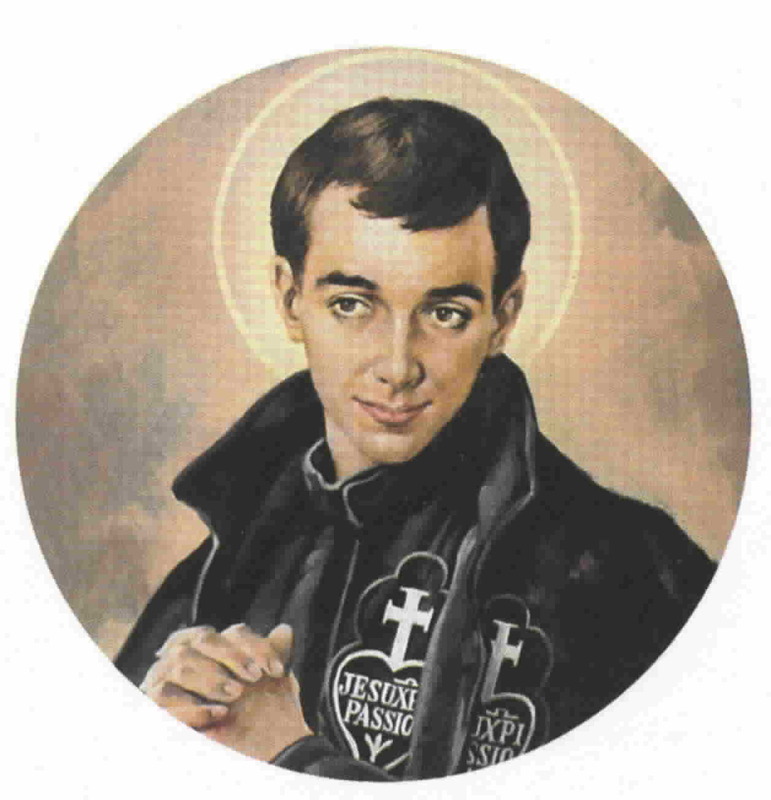 Saint of the day: Blessed Didace Pelletier, born Claude Pelletier, was the first child born at Sainte-Anne-de-Beaupré, or at least the first child whose baptismal certificate is inscribed in the parish register; he was also the first Canadian-born lay brother of the first missionaries in New France, the Recollets (French Franciscans), and the first Canadian who left a famous reputation of holiness on Canadian soil after his death. Brother Didace was born on June 28, 1657; his parents were Georges Pelletier and Catherine Vanier, from Dieppe, France. His life was not eventful in outward activities. As a little boy, he was sent to the apprentices’ school established by Bishop de Laval at Saint Joachim, not far from Sainte Anne de Beaupré. There he learned the carpenter’s trade, in which he excelled. After a childhood and youth spent in labor, prayer, and innocence, he entered the Recollets at Quebec City in the autumn of 1678, at the age of twenty-one. 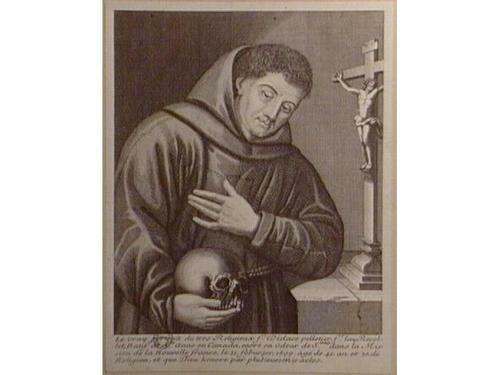 He was clothed with the Franciscan habit in 1679 and received the name Didace in honor of a Spanish Saint, the patron of Lay Brothers; he made his religious vows one year later, in 1680. Brother Didace lived at Our Lady of the Angels mission in Quebec City for another three or four years. Because of his talent as a carpenter, he had a large part in the construction work which the Recollets of that time were undertaking. He was sent to Ile Percé and Ile Bonaventure in the Gaspesie, or eastern shore of the peninsula (1683-1689), to Plaisance, in Newfoundland (1689-1692), to Montreal (1692-1696), and finally to Three Rivers, Quebec (1696-1699). It was in this last city, while doing carpentry work at the Recollets’ church, that he contracted a fatal case of pleurisy. Brother Didace was rushed to the Ursulines’ hospital; there he requested the last Sacraments, despite the opinion of a doctor who declared him in no immediate danger. After participating in the prayers for the dying, he expired on the evening of February 21, 1699, a Saturday. He was forty-one years old; his last twenty years had been spent with the Recollets. Reflection on the gospel reading: In today’s gospel, Jesus implies that many of his listeners are not ready or willing to hear his call. Though they demand signs and Jesus has been giving them an abundance of signs through his teaching and healing work, they are not willing to accept the signs they receive. Jesus teaches that on the judgment day, many people who thought themselves the elect of God will be surprised to see people entering the kingdom of God whom they thought God had rejected. God sees things differently than we do, and openness to God’s presence will allow us to both see where God is at work and free us of the burden of our biases. 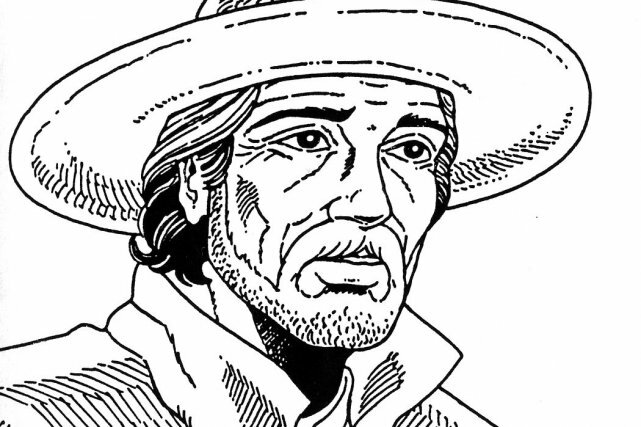 Saint of the day: Pierre-Joseph Chaumonot was a Jesuit missionary who worked in New York and Canada. 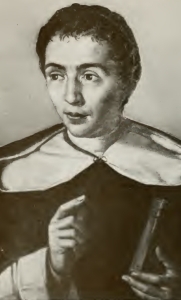 Born near Châtillon-sur-Seine in France, 1611, he entered the Jesuit novitiate at Rome at the age of 21 and arrived at Quebec on August 1, 1639. In September he was already at work on the missions of Lake Huron, where Saint Jean de Brebeuf was superior. He remained there until after the death of Brebeuf and his companions and the destruction of the missions. He was commissioned to conduct 400 Hurons to Quebec, and he established them on a reservation on the Isle of Orléans opposite the city. After Le Moyne had arranged for a mission among the Onondagas of New York, Chaumonot and Dablon were sent to organize it. This mission lasted only two years; the priests and the fifty colonists who joined them subsequently being obliged to escape in the night to avoid a general massacre. Returning to Canada, he devoted himself for the rest of his life to his Huron converts. He established his famous Christian settlement, known as Lorette, which after shifting several times was located finally on the river St. Charles where it still exists, though it is called “Jeune Lorette” in contradistinction to the “Ancienne Lorette” established by Chaumonot, who died before the last migration. He was the founder of the Congregation of the Holy Family which figures extensively in early Canadian history. He died at Quebec on February 21, 1693, having labored in the missions for 54 years.